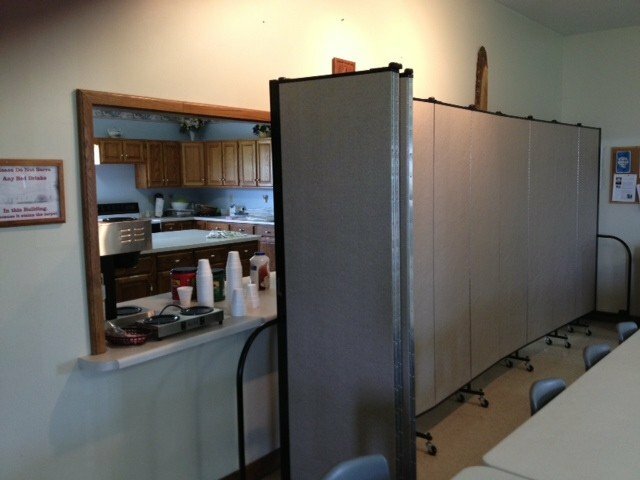 Uses: Banquet Hall, Bible Study, Cafeteria, Church, Fellowship Hall Colors: Gray/White Heights: 6'-0"
Room Dividers allow staff to start cleaning up during a banquet. 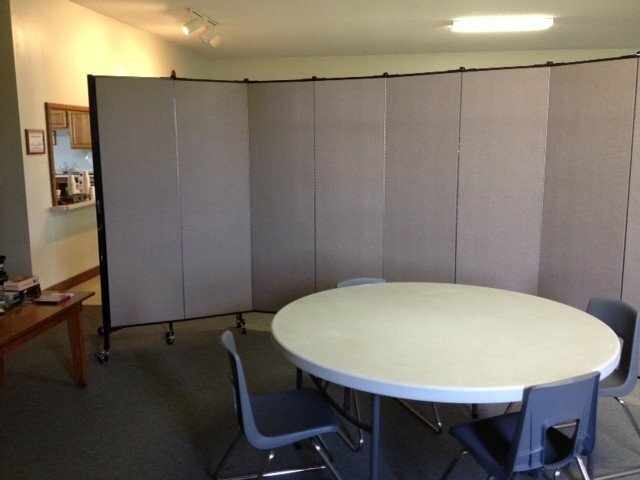 One room divider provides a nice visual and acoustical barrier between the kitchen and banquet area. Read the whole story on the blog.